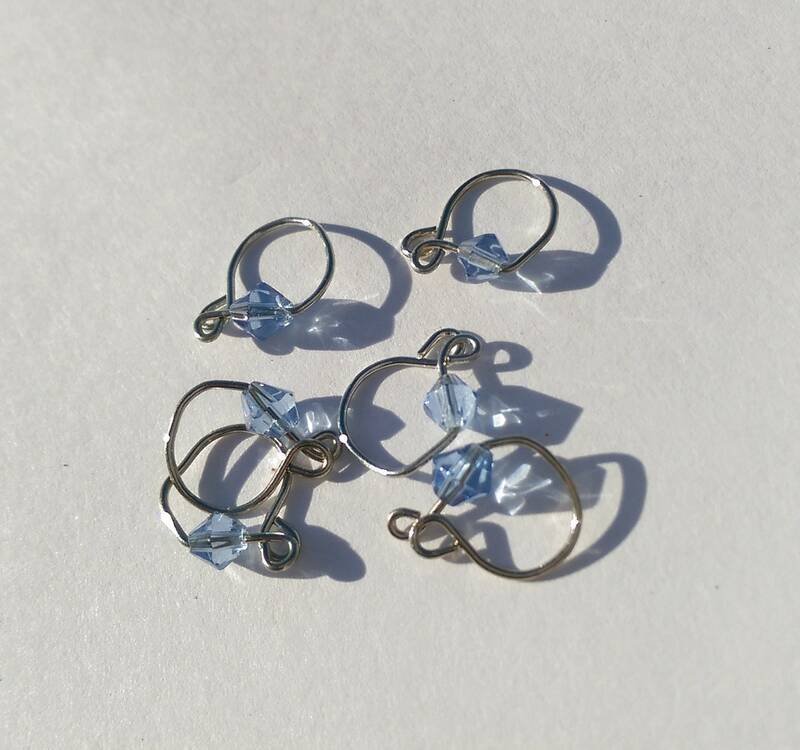 This set of 6 snagless stitch markers are made of sparkling faceted blue glass to coordinate with my abacus bracelets, but all on their own they'll sparkle and gleam with your movement as you stitch - truly jewelry for your stitches! They are designed clip easily as a beginning of round marker for your crochet projects, or lay close to your knitting needles on medium gauges, but they also work quite well on smaller needles. Stitch markers make a delightful gift for the crafter who loves you!